Tshwane University of Technology graduate Motuba is describing the genesis of her new album Tefiti, Goddess of Creation. In one sense, Tefiti is a second album, following the collaborative Sanctum Sanctorium ((https://itunes.apple.com/us/album/sanctum-sanctorium/1372986074) with Swiss pianist Malcolm Braff and percussionist (and partner) Tumi Mogorosi. Motuba has composed all 10 tracks for this outing, working with a string quartet comprising violinists Kabelo Motlhomi and Lebogang Ledwaba, viola-player Simiso Radebe and cellist Daliwonga Tsangela, as well as bassist Thembikosi Mavimbela. Mogorosi plays drums and timpani on two tracks. In contrast to a conventional ‘singer’s album’, Motuba’s voice isn’t continually foregrounded – “rather it’s just another frequency.” It’s a mistake, she says, to assume that the inspiration for the use of strings is classical music. “No, it doesn’t pull from that. Even without the fact-checks, it’s clear that without any reflection at all, Trump reverted to a classic racist trope without a moment’s pause. Unsurprising. But Aretha did not need his words anyway. She had – and has – our hearts. Two Women’s Day greetings popped on What’sApp this morning. One was an extremely pink bowl of roses. The other, fringed by itty-bitty SA flags, showed a woman in traditional attire carrying an extremely heavy pot on her head. We’re flowers – or we do all the household work. Here’s a playlist for Women’s Day and the week that follows: music by and in one case for women that gives the finger to the stereotypes. Two sad deaths in the past week have particular resonance for South Africans. On Sunday composer Professor Stanley Glasser (above) passed away at the age of 92. 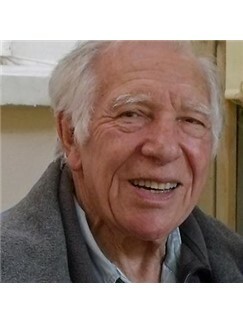 This tribute from the London Bach Society http://www.bachlive.co.uk/tributes/stanley-glasser-composer-1926-2018/ details his distinguished career overseas. But for South Africans, it’s as ‘Spike’ Glasser, partner in crime with Todd Matshikiza, Hugh Masekela, Jonas Gwangwa and others as the musical King Kong was first put together that he is probably most affectionately remembered. Black cast members I talked to certainly had no rose-coloured spectacles about the tensions inherent in that production – but Glasser was universally recalled as a decent, humane musical collaborator with an impish sense of fun. May his spirit rest in peace. sums up his career. Those of us fortunate enough to hear his incandescent notes four years ago remain in his debt for the gift of that music. Hamba Kahle.